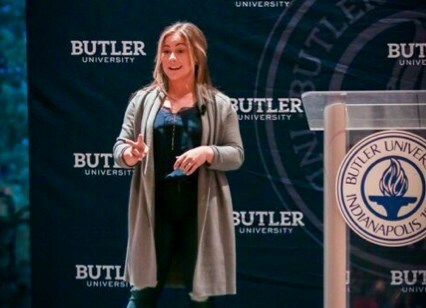 Shawn Johnson East is not only an Olympic Gold Medalist but also a four-time Olympic medalist and three-time USA Gymnastics Hall of Fame inductee. She is a motivational speaker, two-time New York Times best-selling book author, was named "America's Most-Liked Sports Figure" by Forbes Magazine, and has built a social empire creating meaningful business with over 3-million followers. Shawn has spoken to numerous colleges and corporations. She has been the keynote at banquets, the guest at political conventions. Her crowds have ranged from 300 to 30,000 people. Shawn typically speaks for 45 minutes to 1 hour. She connects with the crowd by sharing vulnerable life stories and applying them to the broader experiences that everyone can relate to. There will be laughs, reflections, and sympathetic moments. 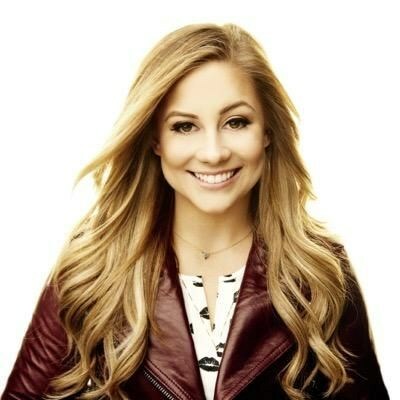 Please note Shawn Johnson East - Motivational Speaker will also travel to Poway, Rancho Santa Fe, Escondido, Del Mar, San Marcos, Santee, Solana Beach, Cardiff By The Sea, La Jolla, Encinitas, El Cajon, Lakeside, Ramona, La Mesa, Carlsbad, Vista, Lemon Grove, Spring Valley, Oceanside, Valley Center, Alpine, Coronado, Bonsall, Lincoln Acres, National City, Bonita, San Luis Rey, Chula Vista, Pauma Valley, Jamul. Patrick Combs - "Simply the Best"